This fee includes one webinar login. Additional fees will be charged if there are multiple logins. Please allow 2 weeks for DVD delivery. Please allow 2 weeks for DVD delivery. Written requests for refunds received on or before January 18 will receive a refund less a $25 processing fee. Fees are non-refundable after this date; there are no refunds for no-shows. There’s a Flag on the Field! What Are the Alternative Sanctions and How Do They Work? Presenter: Kenneth L. Burgess, JD, Poyner Spruill, serves as the head of the firm’s extensive Health Law Section. Mr. Burgess is a frequent national lecturer and author of industry manuals, national trade journal magazine articles and similar training tools. He serves Poyner Spruill clients by focusing on legal issues impacting the health services sector. In this role he has advised clients on licensure, certification, survey, fraud and abuse, operations, risk management, certificate of need and business issues. 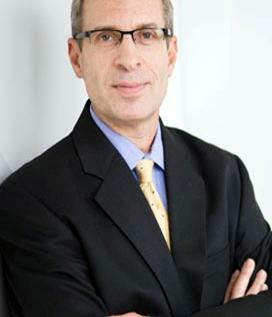 His past experience includes serving as Senior Counsel to the national long term care trade association in Washington, D.C., where he was responsible for administering the Association’s legal assistance fund litigation, and overseeing all regulatory, facility operations, and clinical staff of the association. He is a popular, frequent speaker for AHHC. How it Works: Enjoy the convenience and cost-efficiency of a webinar. There is no travel time involved and no limit to the number of attendees from your agency who may participate at your site through one phone line. All you need to participate is speaker telephone, a computer or laptop and a room large enough for your staff. It is a controlled, radio-like environment where you will gather your staff and dial the 800 number for the audio presentation and log on for the web-based portion. Due to the expense of using the webinar format, registrations may not be shared between agencies – the agency’s registration covers the access of only one phone line. The dial/log in details will be emailed to you 3 days prior to the workshop to the email address you provide. DVD Option: The presentation will be recorded and will be available on DVD following the live presentation. See registration form for pricing. Nurse Contact Hours: One and one-half contact (1½) hours are available for this webinar. The Association for Home and Hospice Care of North Carolina is an approved provider of continuing nursing education by the North Carolina Nurses Association, an accredited approver by the American Nurses Credentialing Center’s Commission on Accreditation. The Kansas Board of Nursing has confirmed that certificates with an AHHC’s provider number will be accepted in Kansas. A facilitator from each participating agency will be responsible for copying and distributing the materials, which will be attached to your confirmation, to the participants and ensuring that each participant requesting contact hours prints their name on the roster. Participants must remain on the webinar until its conclusion. At the conclusion, the facilitator will be responsible for collecting the evaluations and rosters and returning them to the AHHC of NC office. There must be an evaluation for each name on the roster. Certificates of completion will be emailed to each agency facilitator once the evaluations and rosters have been received. Registration Deadline: Please register by January 18 to guarantee that you receive e-mailed confirmation details. However, late registrations will be accepted.